I failed January and here's what I am going to do about it. I failed January and here’s what I am going to do about it. There’s always a lot of pressure to “do January right”, stay away from bad foods and keep to the “dry January” rule. I’ve seen most of the fitness accounts I follow literally slaying the month and keeping everything “on point” and I’ve felt a sort of pressure wondering – what is wrong with me? Why haven’t I hit the ground running here in 2017? I wanted to OWN January, but as it turned out – it in fact owned me instead. I usually aim to workout 4-5 times a week. Throughout January I’ve been skipping workout sessions. I usually aim for one “treat” meal per week. Throughout January have had 2-3 per week. I usually aim to get nutrition from as much REAL foods as possible. Throughout January I have been over relying on protein bars. I usually aim to eat bread in moderation. Throughout January I have slipped back into over relying on it. I usually aim to plan my days. Throughout January I’ve completely failed to plan. I usually aim to FEEL healthy and fit. Throughout January I’ve been bloated and sluggish. As I sit here facing February, identifying what went wrong, it’s now time for me to decide exactly what I am going to do about it. If this is you, if you haven’t met whatever goals you set out for yourself at the beginning of the month, then we are in the same boat. Take a look at my plan for the coming weeks. This was my major downfall. I went through January breaking my own number one rule – I was “winging” my workouts. Today I sat down to assess my goals for the next four weeks and draw up a training plan to suit. If you are not following a solid training plan look into getting one. Most gyms offer assessments and have personal trainers that can put together a plan to suit you. If PT is out of your budget, ask the trainer if they supply just the programme for you to follow yourself. Most trainers will do that for a once off fee. It’ll be well worth it. Another failing point for me was the amount of treats that we’ve had in the house. It started with Christmas treats (I was away over Christmas and when I got home there was still a pile of goodies to get through), and then continued with bars of chocolate in the fridge (thanks Dave!) that I would take a square of and continue to pick at all week-long. Don’t keep tempting foods in the presses. Even if they are for the kids – buy them as a treat as you go otherwise you WILL end up eating them. One of the hardest meals for me is lunch – salads can be boring and I don’t want to be eating stodgy wraps and sandwiches. I’m not anti-bread but I like to eat it in moderation. The biggest help in slaying lunchtime for me is keeping leftover dinner from the night before. Cooking an extra portion at dinner time requires no extra time and will definitely help you stay on track the next day. January was a month that just escaped me. I finished Panto on January 8th and went straight back to work on January 9th – this was my downfall. I took no time whatsoever just to reset and prepare. I just ended up going day-to-day without a plan, without any direction. Here’s how I will aim to change that. I am going to take a couple of minutes every night just to plan out the next day. I spend a silly amount of time scrolling social media in the evenings. Instead I am taking 5 minutes just to sit and plan my day better. Knowing what I have set out for myself will mean I have a solid direction the next day. I love living a healthy lifestyle but I live by the mindset that it’s A-ok to treat yourself to a little something nice at the end of a long week. My aim as a trainer and blogger is to inspire a healthy lifestyle where you let loose every now and again. I treat myself every single weekend. I (usually) work hard all week and like to relax and enjoy a night out or a night in with good wine and good food when the hard work is done. I honestly believe that is part of the process of living a healthy lifestyle. Don’t leave it out of your plan, denying yourself a treat can lead you directly to falling off the wagon completely. A new month is now looming and I’m determined to just get back to being fully good to myself. 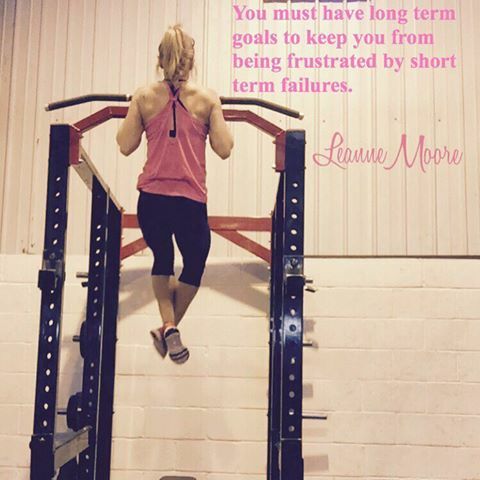 If you are sharing your own journey on Instagram – use the hashtag #leannemoorefitness so others can search it and be inspired! Lets do it together. If you’d like to contact me for a workout plan of your own – check out my packages HERE. 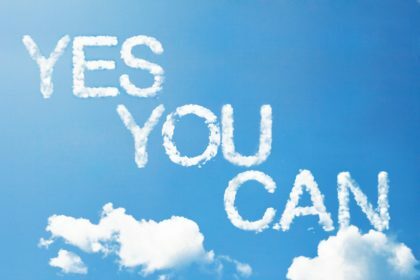 Small Steps To Big Changes – Motivate Yourself!